Riviera Nayarit will demonstrate why luxury is our nature at Gala Vallarta 2013, the most important business platform for hotels located in Mexico’s Pacific Treasure and in Puerto Vallarta. The event will take place on February 6 – 9, and will bring together 70 wholesale agencies and tour operators in our destination. 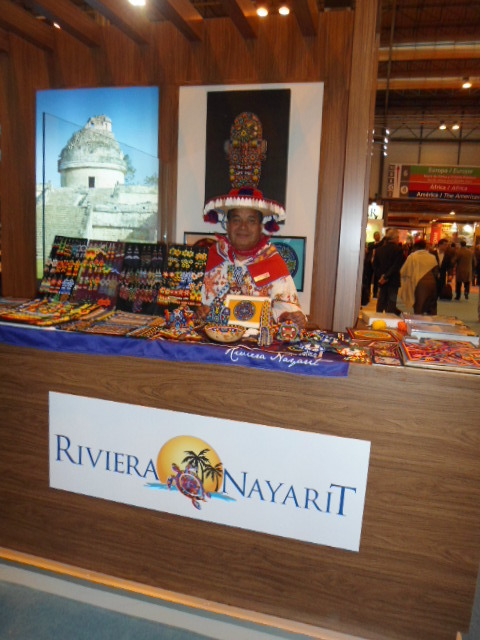 “Riviera Nayarit is ready to host these negotiations. There are already 69 confirmed agencies and tour operators which have confirmed their attendance, and we’re still waiting to receive a confirmation from 8 wholesalers from South America, which have been invited to close business deals in Gala Vallarta. There are also 24 participating hotels from Riviera Nayarit, so we’re expecting good results”, said Marc Murphy, Managing Director of the Convention and Visitors Bureau (CVB) of Riviera Nayarit. Murphy also commented that the 20th edition of the Tianguis is a great example of the things that can be achieved when we work together with Puerto Vallarta, and he said that for over 10 years this business platform has been shared between both destinations, and the results have always been positive for everyone. At Gala Vallarta, the CVBs of Puerto Vallarta and Riviera Nayarit are acting as a liaison between hotels and travel agencies, organizing the schedules to accommodate the wholesalers’ requests based on participating hotels. This year, Riviera Nayarit will host the business center, which will be setup at the Paradise Village Convention Center. Additionally, Mexico’s Pacific Treasure will offer a Closing Dinner, which will hold many surprises.